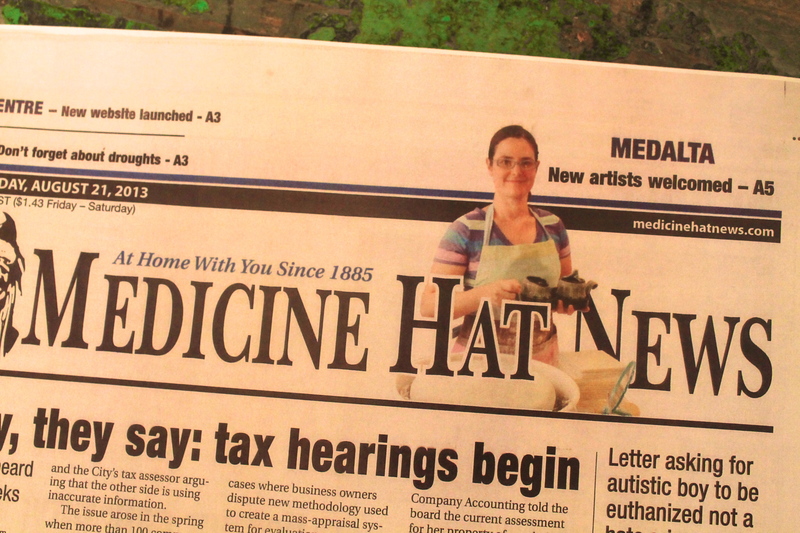 Turns out artists are front page news in Medicine Hat. The Medicine Hat News came to interview and photograph me and one of the other new artists (Jason Desnoyers) at the studio the other day—a little surreal to be honest, but definitely nice to be in a community that is so supportive of the arts. Imagine my surprise when I found myself on the front page (above the fold too!). Check out the full article here. Perhaps in later years this photo will be shown in one of those “clay stars without their make-up” magazine spreads they have in Ceramics Monthly. In other news, I’m still settling into my new studio space (which is pretty awesome by the way!). And while I always like the idea of change, I am not so good at the process of it, so I’m trying to be patient and allow myself the space to get acquainted with my new surroundings. My brain wants me to jump right in, but somehow my hands aren’t quite ready. The addition of a radio and the CBC helped a lot over the weekend. 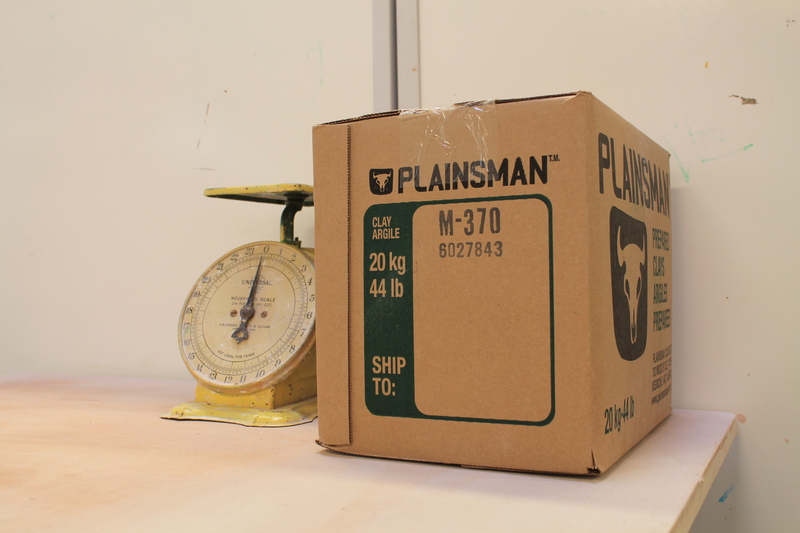 I’m also using a new clay body for the first time in years (Plainsman M370) which is taking some getting used to. So, what with the new clay body, and a way drier environment (my previous studio was a nice damp basement), I feel like a bit of a beginner again—cracking handles and all. This entry was posted in Medalta, News and tagged Artist in Residence, Medalta, Medicine Hat Daily News, naomi clement by naomiclementpotter. Bookmark the permalink.